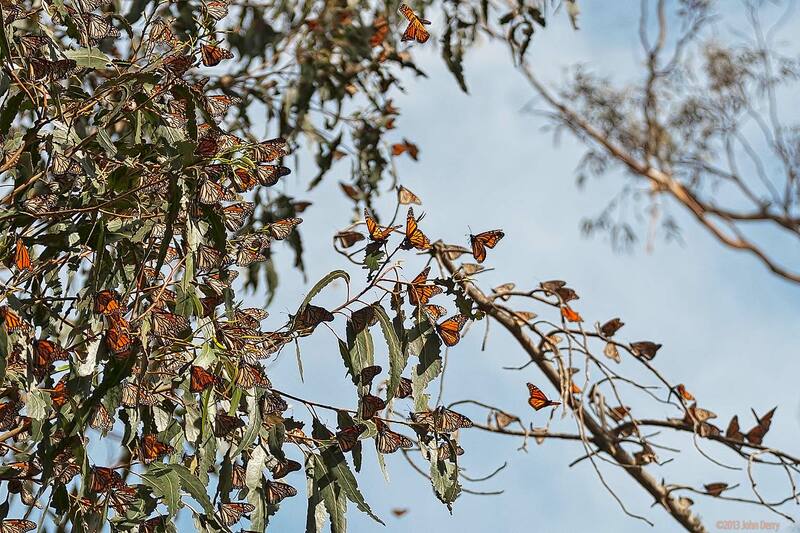 On my work trip to Santa Barbara, I was pleasantly surprised to drive by the Pismo Beach Monarch Butterfly Grove. When we lived on Monterey Bay, we used to visit the butterfly grove in Pacific Grove but I didn't have the camera gear I now own. So I took this serendipitous opportunity to photograph these marvels of nature.